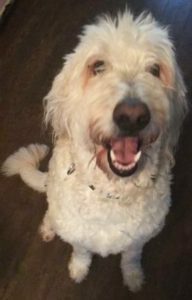 Additional Notes: FEMALE: Labradoodle, adult, approx. 80 lbs., not wearing a collar. Very friendly. Found roaming on Oct. 30/18.